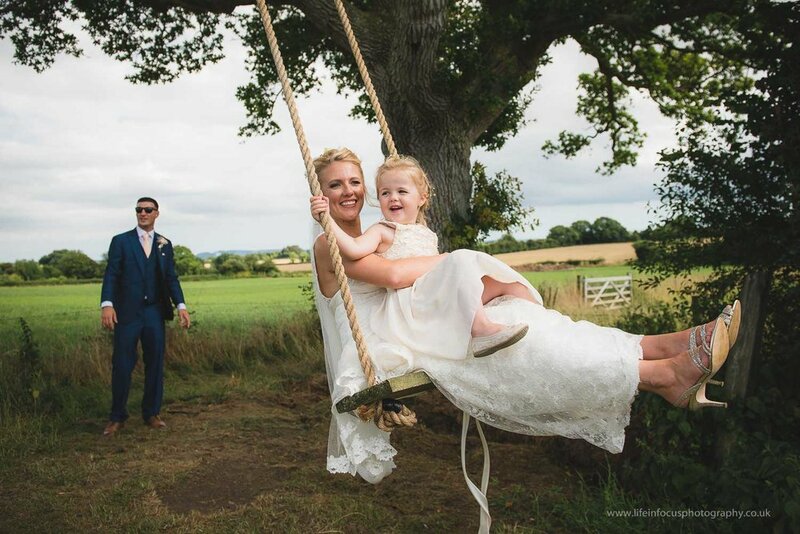 It's the little moments like this why I love being a UK Documentary wedding photographer. 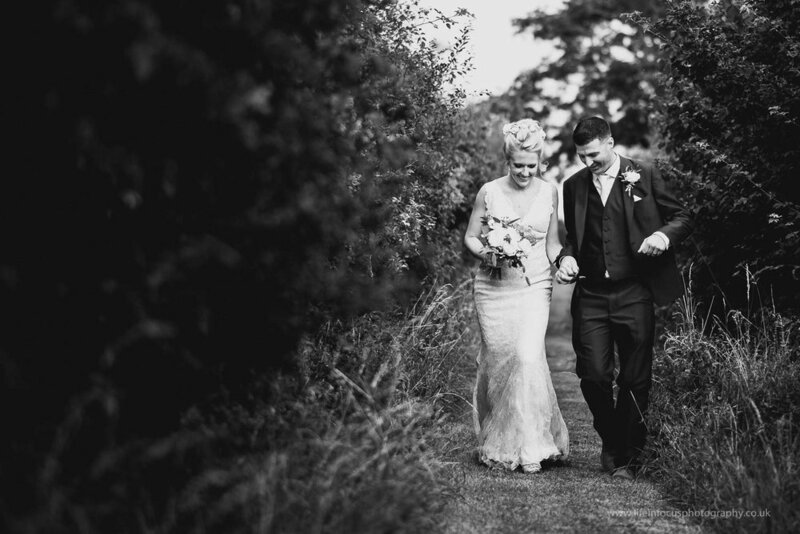 This was such a fantastic wedding I can't believe I've waited so long to put together a blog post about it! 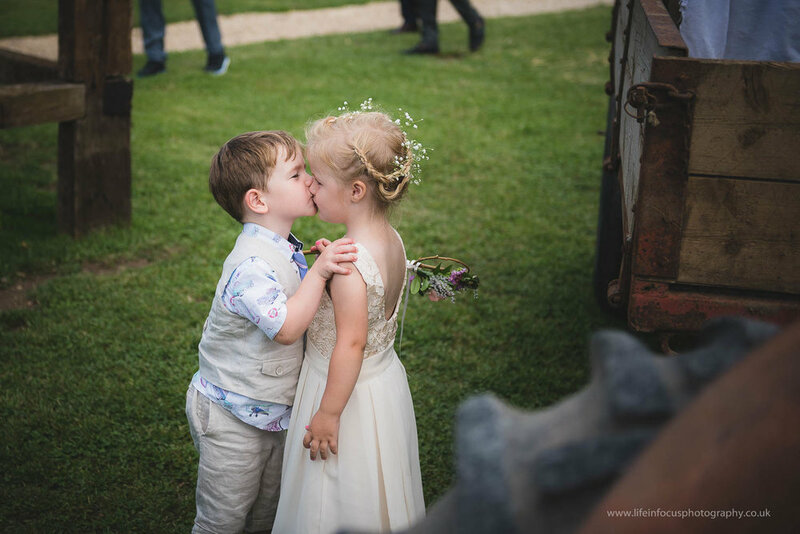 There are some wedding photographers that say it's all about the details, and although they're certainly important, I say it's the characters and emotion which really make the day truly unique and memorable. 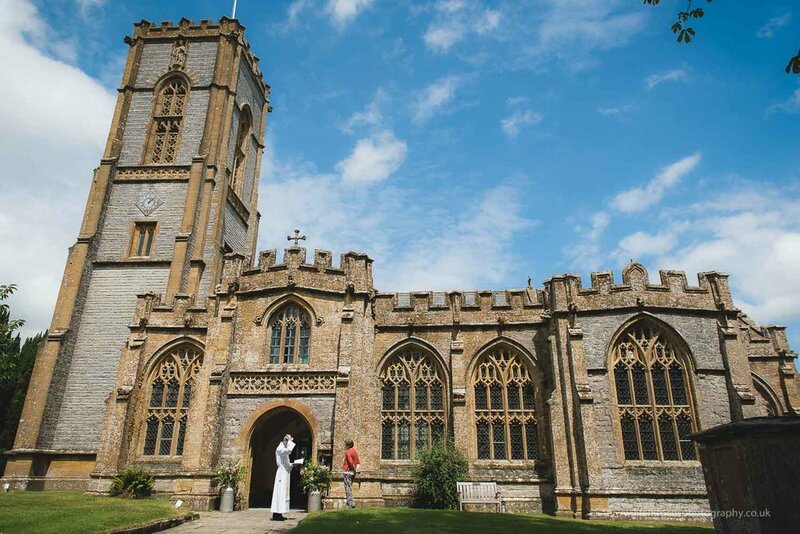 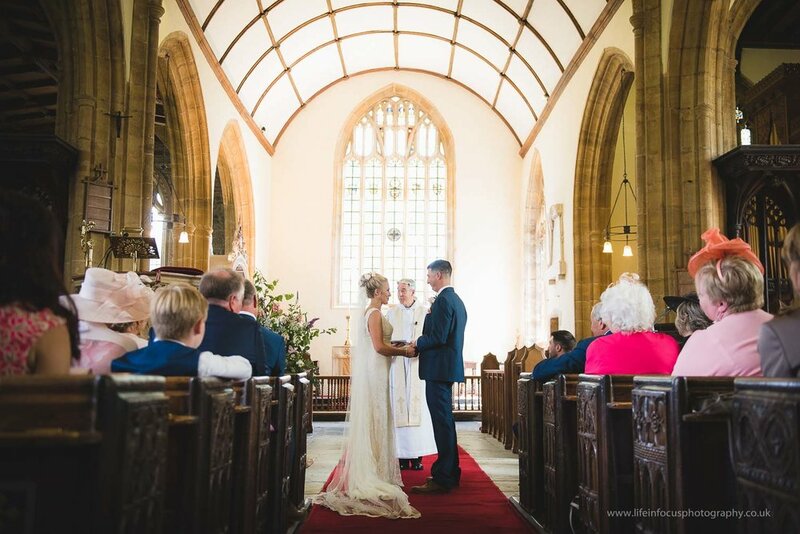 Luckily, this wedding in Somerset had both in spades! 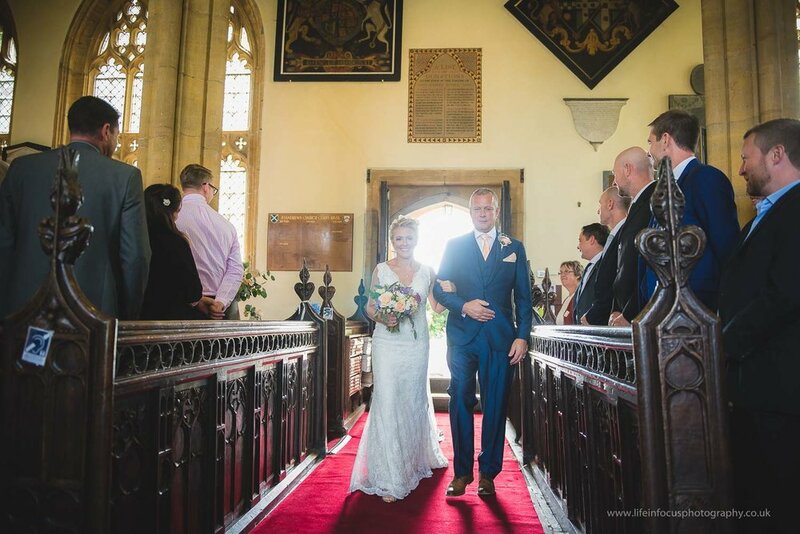 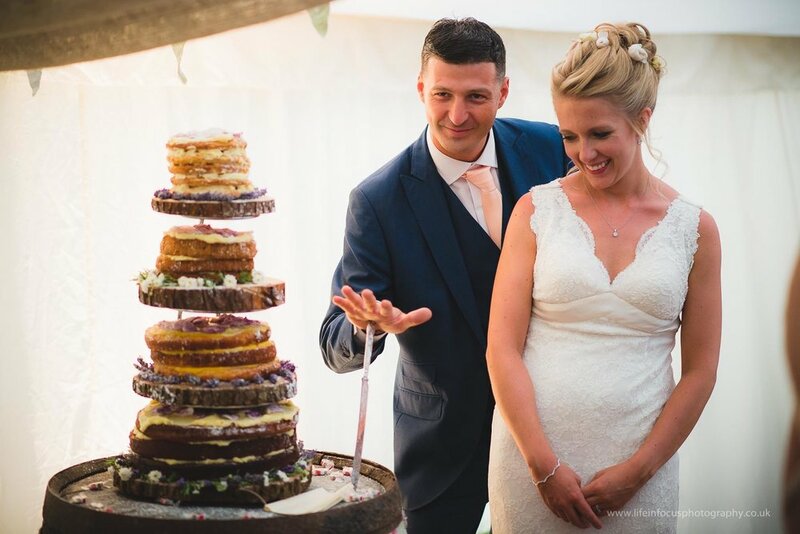 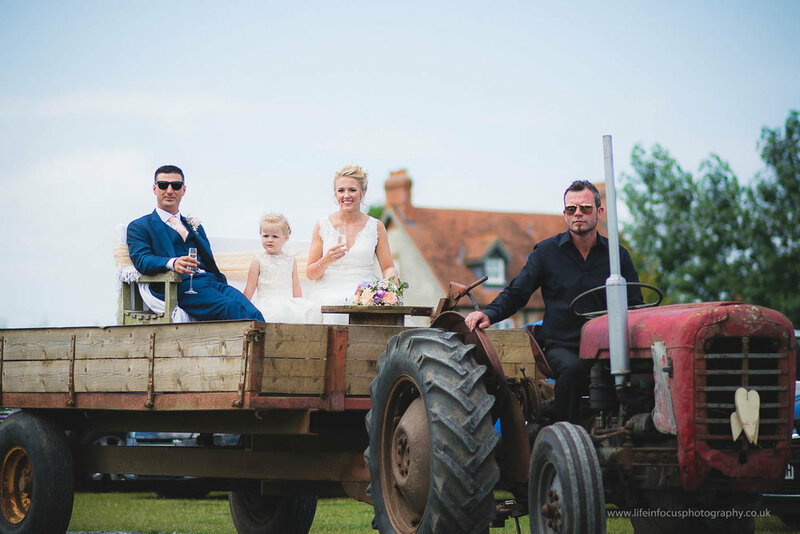 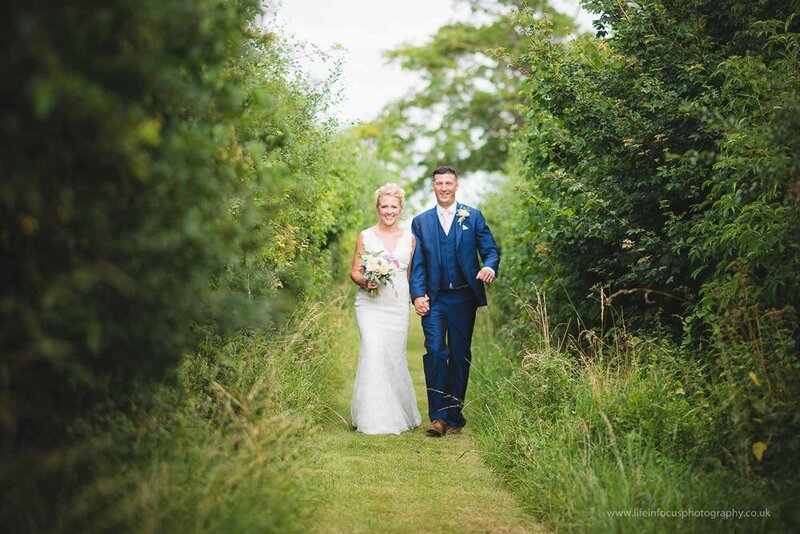 A gorgeous church ceremony in Langport followed by a tractor ride to the outdoor wedding venue with a stunning marquee on site for the wedding breakfast. 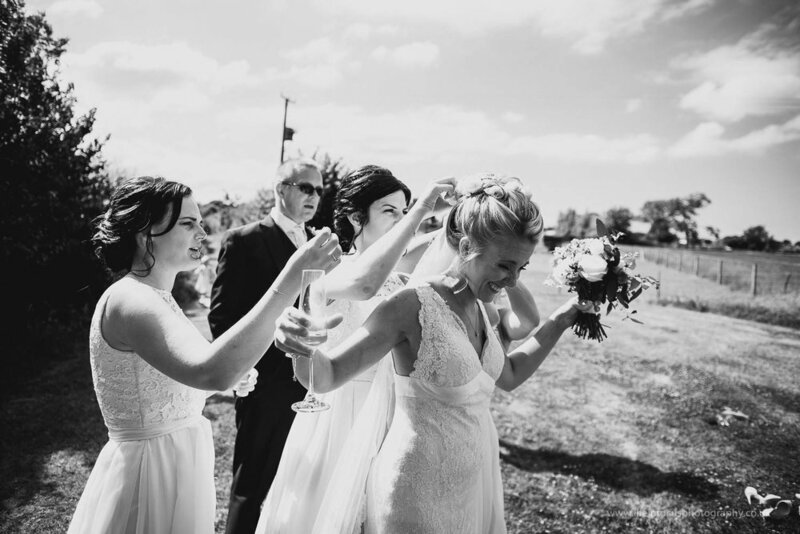 With mini-bottles of shooters for wedding favours, the guests were primed for the dance floor when the music eventually got going. 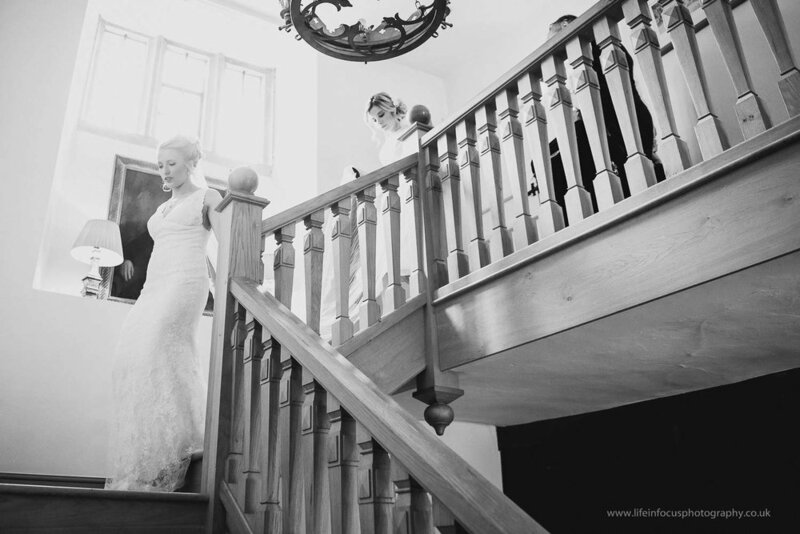 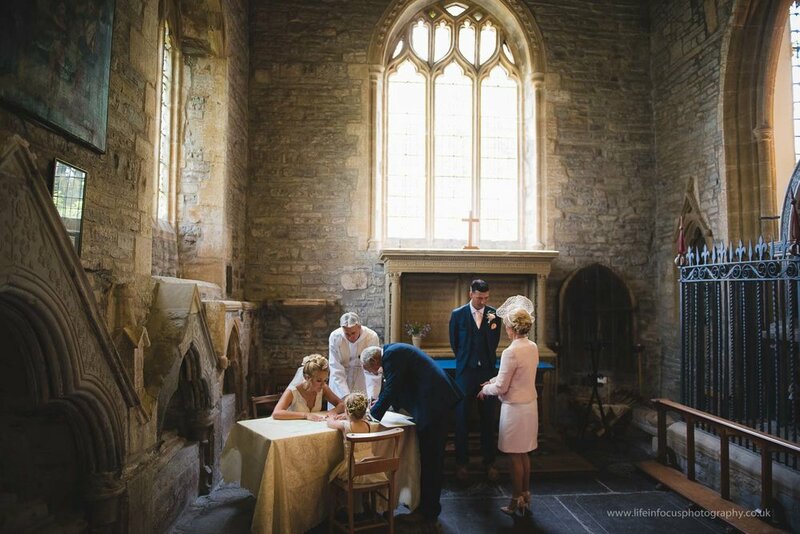 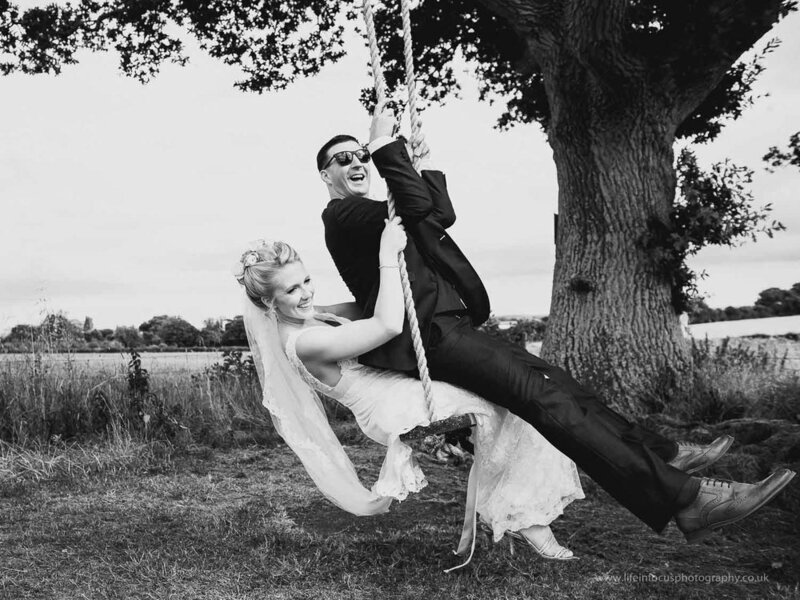 As a reportage wedding photographer, this Old Oak Farm Wedding in Somerset certainly kept me busy. 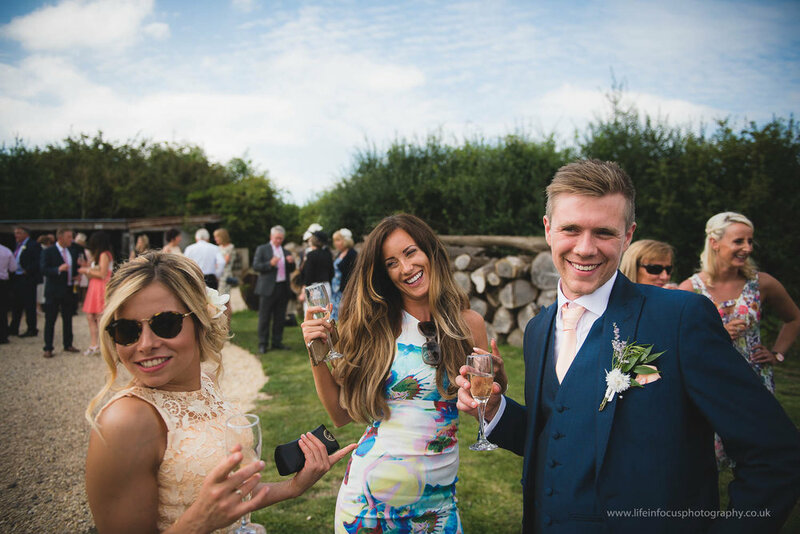 With over 150 guests, some enjoying the sunshine playing garden games, some standing on tables doing shots, it was such a great wedding to be part of. 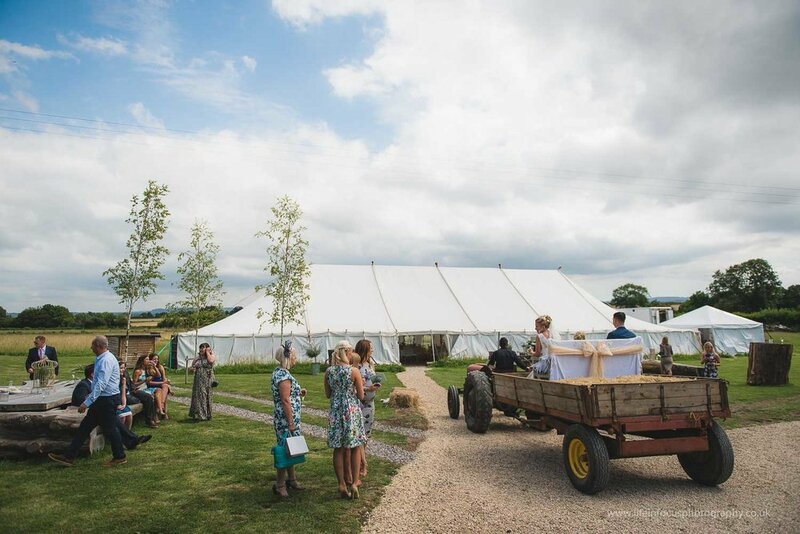 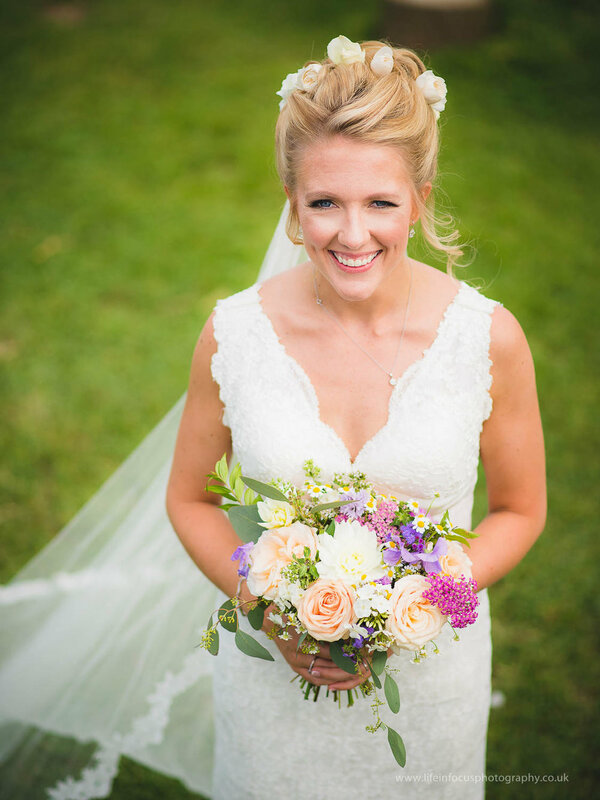 If you're looking for an amazing alternative wedding venue in the South West, Old Oak Farm is one the best! 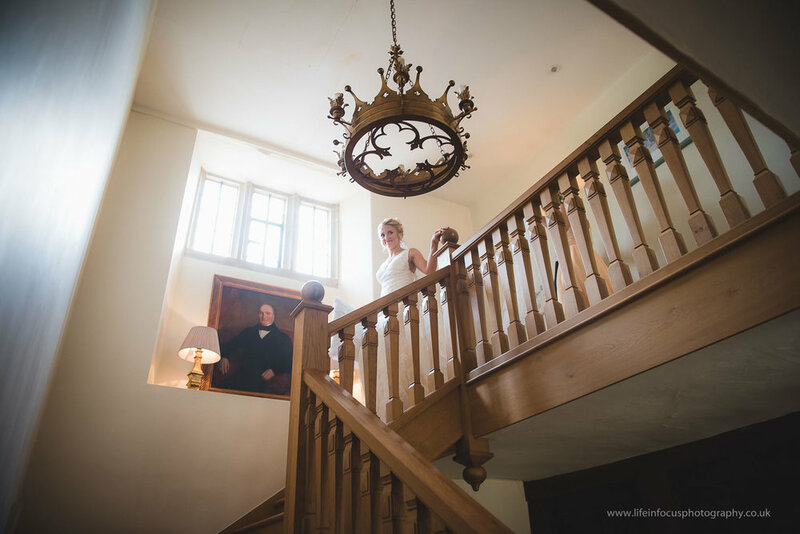 To see some other amazing Somerset wedding venues I've been the photographer for, have a look at St Audries Park and Maunsel House.